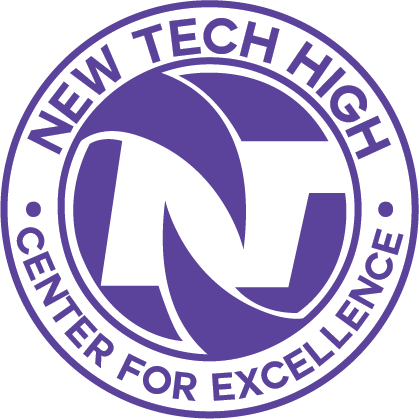 The following is a series of blog post reflections from the 1st period professional learning community (PLC) at New Tech High. Andrew Biggs, Angelene Warnock, and Lily Rex are the teachers that comprise the PLC. When students do not submit important benchmarks or knowledge check-ins, it can be really difficult to accurately assess what students do and do not know midproject. In PBL, where quality formative assessment data is the only real way to get a sense of whether your teaching is working, a student culture of acceptance of incomplete work can truly make planning and project support difficult. Supporting students’ in their development of the skill of Meeting Benchmarks is not simple or especially quick. This sometimes moves that skill’s scaffolding somewhat low on the day-to-day priority list, whether we mean to or not. When unintentionally permissive grading practices make it even easier for students to practice this skill, the problem can be compounded. What happens when students “don’t care” that they got a zero? The tool I made for the project: Senior ‘Incomplete’ Check-In (because I teach 12th graders). The first step is to identify an activity that you do not want students to leave unsubmitted. Since this was designed for a major benchmark/formative assessment of key learning, I recommend you start there. In terms of implementation plan, I will address them in order of the bullet-point list provided above. The most important part of this piece is to identify missing work differently. As I learned from Myron Dueck in Grading Smarter, Not Harder (and found in my own practice), seeing a zero in a gradebook is a really great way to provide closure for students that are used to seeing zeroes. The receipt of a grade = the end of an activity’s life span. So, mark it differently! If you use Echo, there is a function in the activity builder that allows you to mark an activity required for course credit. In the project I did, that’s the option I chose. Without Echo, there are a variety of options to experiment with, like marking an I in the gradebook, leaving it ungraded with a comment, etc. If you take a look at the tool I made, the process will likely be pretty self-explanatory. When you find that a student has not submitted the benchmark activity you identified, check in with them, show them the ‘incomplete’ mark in their gradebook, and talk through a plan. Document it here. I recommend that you start by approaching the students that you think will most feel closure with a zero. Other students will notice the odd mark in their gradebook and come to you. Some students will not be motivated by the mark in the gradebook or the check-in plan, but they might be motivated by being left alone. If you put yourself in their lives frequently enough, it becomes easier just to submit the work. Rely on your skills of relationship nurturing here, of course, because these check-ins need to be good-natured, positive, and clear with the goal of student success. If these check-ins turn into a behavior-based power battle, all the set-up work will be for naught. This project took place over the course of ~1 month, but it hasn’t been enough time yet to see measurable improvement among the students that struggle most with the skill of meeting benchmarks. The results are certainly promising, but I’m looking forward to seeing the long term impact. If your class has a culture of apathy regarding missing assignments (as mine did for a variety of reasons), the sheer number of students missing an important benchmark can make the strategy that I tried wholly unsustainable. This problem is the biggest reason that, toward the end of the project, I adjusted to the strategy of having the students develop their own work submission plans. After reflecting upon the deficits of the tool in this specific capacity, I developed this tool. With the students that I have thus far tried it with, this strategy made the students the bearers of their plan rather than me. One thing I found pretty quickly was that the students that most needed support in this skill also had the highest chance of being totally unresponsive to this strategy. As such, I had to make sure that I had a fallback plan that made sense in my class. The choice that I made to support these students was that, after I learned to have students make their own plans/due dates, I told them I reserved the right to make a plan for them if they still failed to get their work in on their deadline. Generally, this meant spending lunch time or a free period with me getting the work done. This is another place, of course, where I had to rely on my relationships with students in order to maintain the right optics on lunchtime work sessions. The last thing one wants to do is have students see work for their class as punishment.